The Royal Canadian Mint has launched (9th March) their newest coin in their ongoing “Predator” bullion coin series, which includes 1-ounce, 99.99% pure silver bullion coins. 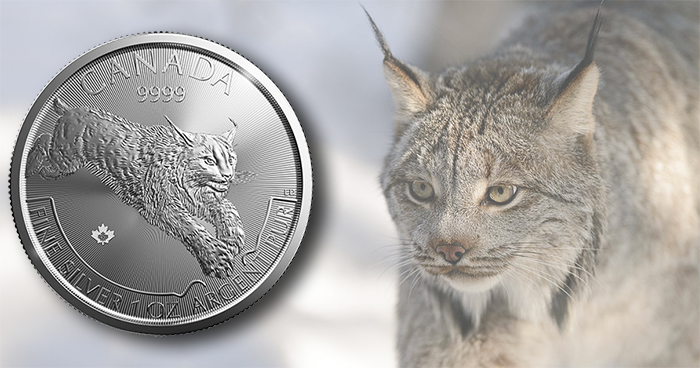 The new 2017-dated coin in the series features the lynx and is only the second coin to be included in the series. This coin features the dynamic engraving of a Canadian lynx contrasted against a background of precise radial lines. This lively illustration is the work of acclaimed Canadian coin designer and nature illustrator Emily Damstra. A new 1-ounce gold coin has simultaneously been released, the fourth in the “Call of the Wild” series. 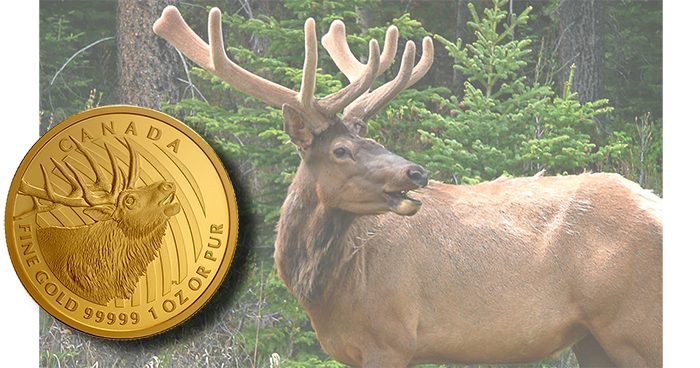 The new coin features an adult male elk and has the highest purity possible for a gold bullion-type coin, at 99.999 fine. The coin is also issued with a face value of 200 DOLLARS, which is the highest-value legal-tender denomination among the world’s 1-ounce gold bullion coins. The coin’s reverse is designed by Canadian artist Pierre Leduc, who has boldly illustrated a majestic elk, backed by lines representing the sound waves of his distinct bugle call. Both coins feature the addition of a micro-engraved maple-leaf mintmark for enhanced security on the reverse. The obverses feature Susanna Blunt’s effigy of HM Queen Elizabeth II, which has been included on all Canadian circulation coins and many commemorative and collector coins since 2003. I’m a fan of the Predator silver coin series. I look forward to adding the Lynx to my ‘stack’.